Since the dawn of space travel, amateur (ham) radio has been a constant companion as the international space agencies explore our Earth and the solar system. Through these partnerships, hams pioneered the first home-built satellite (OSCAR-1, 1961), invented CubeSats, and deployed the first ISS satellites (SuitSat, ARISSat). We tested GNSS reception above the GNSS constellations, fundamentally changing space navigation sensing. And we have inspired and educated countless students, hams and the general public to pursue science, technology, engineering and math (STEM) careers. These accomplishments were performed collaboratively by an international consortium of AMSAT (Radio Amateur Satellite Corporation) organizations with our human spaceflight initiatives accomplished through our ARISS team. 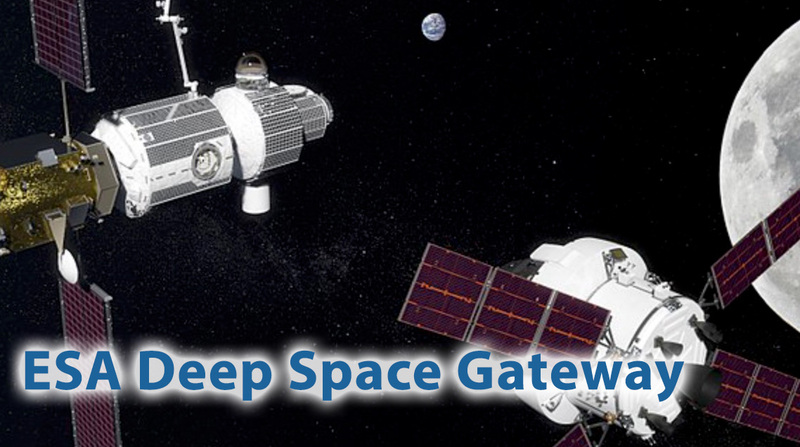 Our idea is to develop a ham communications capability for the Deep Space Gateway (DSG). Leveraging our ARISS knowledge and team, we would maintain and operate this ham station and work with schools to inspire, engage and educate students through interactions with DSG crew members, when available, and interactive educational projects and experiments that can be directly commanded and data downlinked through our amateur radio system. Expanding on the DVB technologies currently employed in the ARISS HamTV system, we will provide direct access to ham radio telemetry and data for educational outreach. Our station would include two-way DVB communications and employ amateur microwave frequencies (e.g. S-Band, C-Band, X-Band) with DSG-mounted external antennas. Very simple ground station equipment will be required with the opportunity for students to build the ground antennas. Student developed experiments could also be interfaced to the DSG ham station, enabling interactive command uplinks and data downlinks. The data collected would be stored in an internet-based Data Warehouse and made freely available for later use and review by students around the world, similar to our approach on our FunCube CubeSat. When there is a DSG crew on-board, we can hold interview sessions with schools and astronauts similar to ARISS contacts. However, the sessions can be expanded to include 2-way video and not be constrained by short (10 minute) pass times. Through a plethora of communications modes (voice, image, TV, data) numerous interactive activities can be devised to engage students in a stimulating manner. If a UHF receiver is embedded in the DSG station, the transponder could support CubeSat-deployed relays using the Proximity-1 protocol. Finally, similar to ISS, Mir and Shuttle, our station can also support independent backup communications capability if issues arise with the DSG prime communications capability. Amateur radio operators and the various international AMSAT organizations have a rich history of pioneering achievements for human spaceflight (examples: SAREX, ARISS), low earth orbit (example: educational outreach using the mini constellation of FUNcube based spacecraft), high earth orbit (examples: GPS experiment and radiation belt detection on OSCAR-40 in 2000) and deep space (examples: Venus radar, Voyager-1 reception, ISEE-3 reboot project). Given our outstanding relationship with the international space agencies and with schools and universities, the amateur radio community could serve as an ambassador for space activities at the educational level (primary school up to universities).